The Department of Sports & Fitness participated in the 30th Annual Career & Education Day on Saturday, Feb. 13. Sports & Fitness student employees, members of the UHD Gatorettes dance club and UHD cheer club represented UHD and interacted with many high school students from across the City of Houston. They provided useful information to potential incoming students, took photos with students and gave out UHD tattoos. 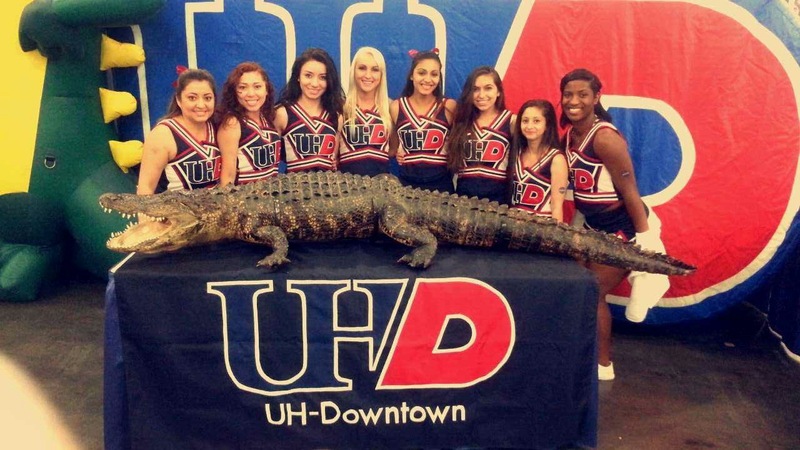 Sports Coordinator Justin Sarabia said "students had a great time learning about UHD."